There are many challenges family caregivers face when helping an elderly parent or grandparent. Stress is certainly problematic, yet despite their limited time, not enough people consider home care support services. There are plenty of home care options available for seniors and disabled adults all across the country. The most common comes in the form of a home care aide. This is an individual who would assist the senior or disabled adult with certain aspects of their daily life. They can provide companionship, encouragement, physical support, and even assist with basic tasks, like bathing, toileting, and more. 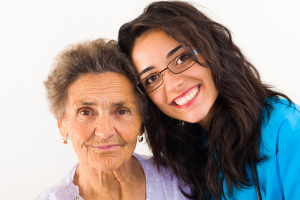 When a family caregiver, such as an adult child, begins caring for a parent, they have a tendency to focus on safety. That’s because most adult children don’t support a parent until he or she is in their 70s, 80s, or 90s and is dealing with certain health issues that limit their own mobility and ability to take care of themselves. When that happens, the focus turns to safety. The moment somebody begins focusing on safety, they have a tendency to discourage various activities. That adult child suddenly takes on the role of a parent, rather than the child in the relationship. That can create a tremendous amount of tension, stress, anxiety, and resentment. Imagine how you’d feel if your own child began telling you what you could or couldn’t do. Imagine what it would be like to be faced with such challenges that you had seemingly no other option than to rely on them for help. You want to do whatever you can to make things easier for them, but when they start pushing you around (verbally or emotionally, certainly not physically), it can change various aspects of the relationship. For anyone who may be feeling like their relationship with their parent is being damaged as a result of the care they provide, it’s time to look into home care options. A home care aide does not have to be relied upon for full-time, around-the-clock care, as many people incorrectly assume. If you hire independently, meaning you hire a caregiver who does not work for an agency for anyone else, the challenges in finding more flexible hours increases dramatically. When you hire through an agency, you can hire someone for as little as two hours a day, at least to start. This can help you and the senior see the benefits on relying on home care support services as opposed to you, or some other family member, that could damage the relationship. This entry was posted in Home Care Services Memphis TN and tagged Home Care Services Memphis TN. Bookmark the permalink.